CURIOSITY killed the yak in director Karey Kirkpatrick's effervescent computer-animated romp, which follows an inquisitive yeti who comes in from the cold to prove the existence of a race of diminutive hairless creatures called humans. 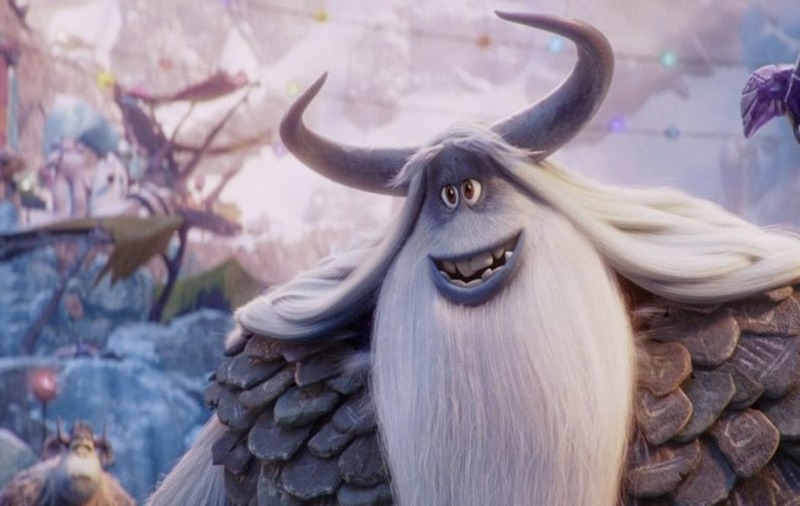 Smallfoot is festooned with far from abominable snowmen and snowwomen who live in a thriving mountaintop community which is hidden from prying eyes by a ring of high-altitude cloud. These cute, hirsute critters place their unstinting trust in ancient runes which state that their mountain sits atop four hulking mammoths and is warmed by the light of a great glowing snail, which crawls across the sky. Ignorance is bliss until one member of the community publicly challenges the veracity of the runes and forces his fellow yetis to ask probing questions of the people in power. In an age of fake news, propaganda and media manipulation, Kirkpatrick's gentle script co-written by Clare Sera has clear and present parallels that will sail merrily over the heads of very young audiences. They will be charmed by colour-saturated visuals and a fizzing soundtrack of upbeat pop songs including a rap to the beat of Under Pressure by Queen and David Bowie. 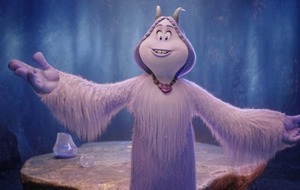 Migo (voiced by Channing Tatum) is a fun-loving yeti who lives with his father Dorgle (Danny DeVito). Every morning, the old man rings a gong to herald the arrival of the great snail in the sky. Migo will eventually succeed his father and assume responsibility for waking his neighbours. In the meantime, Migo merrily sings as he toils alongside fellow yetis, whose icy world is governed by ancient laws which are interpreted and enforced by The Stonekeeper (Common). The status quo is shattered when Migo encounters the terrified human pilot of a crash-landed plane and excitedly reports the existence of a smallfoot. The Stonekeeper banishes Migo for challenging the veracity of the sacred runes, which are the foundation of Yeti life. Thankfully, The Stonekeeper's plucky daughter Meechee (Zendaya) believes Migo and she introduces him to her pals Gwangi (LeBron James), Kolka (Gina Rodriguez) and Fleem (Ely Henry), who collectively make up SES: the Smallfoot Evidentiary Society. The rebels embark on a madcap quest to prove Migo's assertion, which leads to a hare-brained adventure in the company of wildlife documentary film-maker Percy Patterson (James Corden). Smallfoot is a simplistic but breezily charming adventure which encourages independent thought rather than slavishly following the herd. Tatum and Zendaya imbue their roles with sweetness and sincerity but Corden's fame-hungry TV star grates on the nerves well before the character experiences a clearly signposted epiphany.